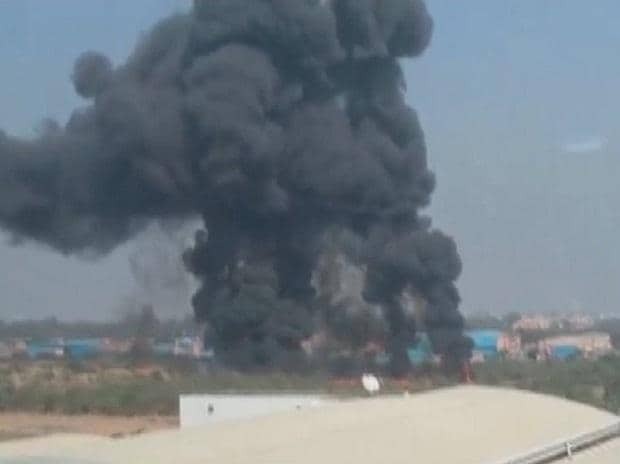 A Mirage 2000 aircraft of the Indian Air Force crashed at the HAL Airport here Friday killing a pilot on the spot and leaving another critically injured, police said. "The body of one of the pilots is completely charred while the second pilot is in a serious condition," a police officer at the HAL Airport police station said. The HAL, in a statement, said the incident occurred at 10.30 am during a sortie. The plane went up in flames as it crashed with an explosion and thick smoke billowed from the spot, leaving passersby and residents living around the airport in a shock. Firefighters and the ground staff at the HAL airport swung into action to douse the flames.